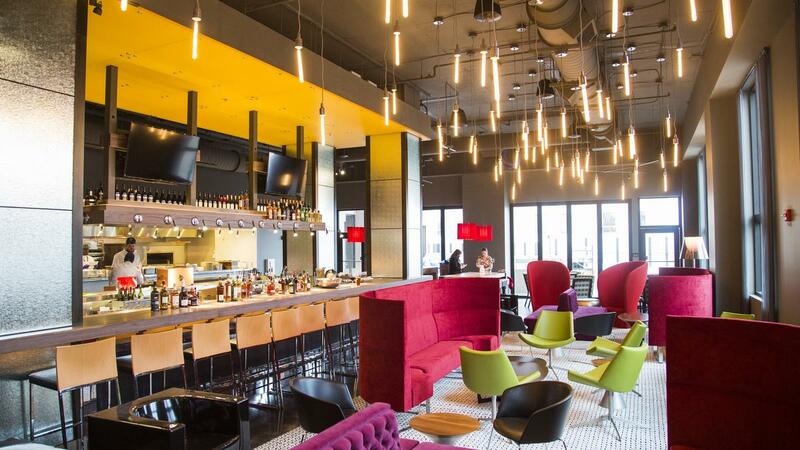 8UP Elevated Drinkery & Kitchen, the snazzy restaurant and bar atop the Hilton Garden Inn at the corner of Fourth and Chestnut, has a new team running things. Amy Lewis has been named general manager and Casper Van Drongelen is the new Executive Chef. Van Drongelen, originally from the Netherlands, has cooked at Aria Restaurant in the Fairmont Chicago Hotel, at Amangiri Resort in Canyon Point, Utah, Hitchcock Restaurant on Bainbridge Island, Washington, and most recently at Chow Restaurant in Oregon, where he championed local and sustainable sourcing. Amy Lewis spent over a decade with the Jeff Ruby restaurant organization, and was on the opening teams of more than 10 restaurants and clubs, handling marketing and public relations. She also has casino experience, having served as beverage and nightlife director for Tropicana Casino & Resort in Atlantic City. In 2014, she helped to open the Mercury Ballroom on Fourth Street and later was named general manager of both Mercury Ballroom and the Louisville Palace. Van Drongelen takes over from Jacob Coronado, who has become the chef at Red Herring Cocktail Lounge on Frankfort Ave. Lewis replaces former general manager Julie Defriend, who has joined the wine distributor Vintner Select.